This is one of the most debated topics today in India, perhaps even more important than “why is Mumbai Indians losing consecutive matches in the IPL”. As a citizen of this beautiful country and also as an active user of the internet, I wish to present my views on this subject. As the title suggests neutrality, my thoughts too are neutral. But it becomes necessary to derive specific conclusion and that is what I shall attempt to do in this article. .
For those of you whose staple diet is the internet and yet don’t know what net neutrality is, I don’t think you are actually living in this world of internet. For the newbies, here is the explanation of why there is so much chaos around this topic. We all demand for equality at all stages of life. In the same way here the data on the internet is demanding equality from us. The core idea of the internet and the main reason for its success is that it is free to use and economically affordable for all its users. In contradiction to net neutrality is the idea that internet service providers are permitted to charge money, more than what we usually pay for using internet. For instance; if I am using the service of Internet Service Provider (ISP) named X paying them the price they have demanded for using net, I also have to pay extra for using Whatsapp to them. This is unfair since it depends on me which service I would like to use on the internet and my ISP has no right to restrict me as what I can access and what I cannot on my data network. Also, ISPs would provide excellent speed for a few websites which are associated with them, while reduce the speed of those that refuse to pay them. The telecom operators or the ISPs are claiming that they are suffering huge losses and hence they wish to have zero rating, i.e. no charges and excellent speed for a few websites, and extra charges and slow speed for others. I feel if this is accepted, the internet as a whole will be suffering a huge loss. According to me this is a vague idea to charge for everything that you do on the internet. It is equivalent to corruption of the internet. Give money and get access and if you don’t pay, say bye bye to your internet. People all over the country are supporting the idea of net neutrality and I am one of those supporting it as well, because I cannot afford to lose the power of Google from my fingertips nor can I let my online teachers shut down. I am sure you share the same views as mine. 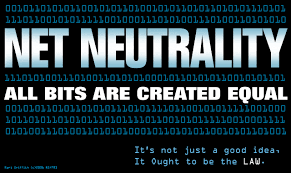 The reason for net neutrality being essential is that the whole concept of forming the internet is based on it. Internet was formed to connect people, for them to understand the very idea of this world irrespective of their caste, race, economic conditions etc. Today, people might not have a television at their homes but only a negligible number lack internet access. Today's blog is neither totally based on IT nor does it talk about any new invention. It is about a thought that I was pondering upon as I sat in solitude. What I thought, was what impact our technology makes on an individual's mind? After a lot of thinking (and snacking along), I finally reached upon a conclusion, and then thought of sharing my views with you and also knowing your views on this topic. If you would have been following all my articles on this website, you would see that I wrote my very first post on how this world is incomplete without IT. If you haven't read it, please do have a look at it once before going through this article. PSYCHO-TECH... two different subjects - 'Psychology' and 'Information Technology' - linked together. This link between the two is to explain why our minds are obsessed with technology in today's time. A day without our PSPs or Tabs and we go bonkers. A minute without our mobile phones and we feel weird, undone, lifeless. It's almost as important as an organ of our body. But why the addiction to these lifeless objects? Many people think that it provides to them a sense of ease, peace and connectivity. It keeps them pretty 'social and active', and helps connecting with day to day happenings. However as true as this is, it is also true that we do know about the dress a girl in another country decides to buy but not the health of a neighbor living next to us. Socializing does not mean only over the internet. Socializing is going out into the world; the real world and not the virtual one. It could be true if stated that these actually rule our minds. Most of the parents reading this might take it in a negative sense, but teenagers on the other hand might take it positively. But what's right? According to me, it is completely okay to spend some time on Facebook and WhatsApp and the other social apps, as long as you do not waste your time by using it all day long. You could be missing the most important things in your life; a rainbow on the sky, a child smiling at you, a butterfly on your head; all these little happy things missed just because you were looking down into your phone. So, look up! If you try, you can. These machines are not meant to be dictators of the mind. Tell yourself what you want to do and don't give in to temptations! What IT provides to us is the entire world on our fingertips. We try to survive in the world by following what our bosses say, be it anything. Technology shouldn't be ruling your mind. You, as an individual, should have an independent thought. Your innovations, ideas, and observations can change the world in a day. I haven't read many autobiographies of great people, but I'm sure not all of them were scholars at school. Still, each of us remember and admire them, because they didn't follow the rules set by the world, but made their own! This is exactly what IT does to us. It allows us to create our own lovely world and give us a better understanding of the real, world we live in. But this should be a link, a helping path, not the destination itself! Tell yourself this; take a break and feel the world beating around and within you to utilize your power of innovation with IT. Overall, this is my opinion about linking the two subjects. Your comments and views will be appreciated. Will be back soon with a new article. Till then, take it easy. As technology is fast increasing its sphere of influence, we have witnessed a revolution in learning. This has taken the form of MOOCs i.e. Massive Open Online Courses. MOOCs are a very recent concept and have become very popular with students of all ages. The reason is because one can learn from the comfort of ones’ home and see the pre-recorded lectures at a convenient time. Most courses are free and offer a certificate upon completion of a final exam or quiz. MOOCs are offered by reputed colleges across the globe and students thousands of miles away from the university can access these courses. The two most popular platforms for MOOCs are edx.org and coursera.org.edX was founded in May 2012 by MIT and Harvard. Today it has expanded to 47 institutions.edX. Courses are rigourous and demanding in nature. These range from Shakespeare to Mechanics, so one can be sure that on finds a course as per one’s liking. Coursera was founded in April 2012 by Andrew Ng and Daphne Koller, both computer science professors at Stanford University. It has 108 member institutions offering 641 courses. Another excellent website is Khan Academy. Although it does not offer courses by universities, most courses are taught by Sal Khan an engineer from MIT and MBA from Harvard. His lectures range from mathematics to cosmology to economics, and the lectures are very easy to grasp. The extensive math practice strengthens concepts learned in the math lectures. Khan Academy will be doing complete SAT tutorials and and practice questions for the redesigned SAT in 2015. Online Learning has ushered us into a new era. Universities are reaching out to millions of students across the globe who want to expand their horizons. This is just the beginning . Today's blog is fun. Read to understand the real power of the world information technology. After reading the title you may consider this to be general topic. Well, that's not the case. I kept this title for a certain reason which you will understand after reading the whole blog. You must have driven a car with a steering wheel in hand and three pedals controlled by your feet, but have you ever thought of a car without any of these? It is very hard to believe, but it is true that such a car exists. Google has made this fantastic invention possible. Along with a team of experts, Google has invented a car which works without a steering wheel and the whole car works on sensors which prevents it from accidents. So just imagine yourself sitting in car after a long hard day at work and your car takes you home without you having to do anything. Instead of spending money on hiring a driver, we could very well invest in such fabulous inventions. Though the car has only been launched in three states yet, testing rounds have already started in California. It has been successful up to a certain extent. Like every invention that faces problems, Google too is facing the same. But they have been giving out their hearts to make it a trustworthy invention. When I found out about this invention, the first question is my mind was what is the purpose of this? Google has not yet come up with an answer. According to me, one possible reason could be prevention from accidents. Secondly, it could be beneficial for the visually challenged. One possible drawback of this invention could be that once we are totally dependent on this technology, any fault in the system of the car would lead to huge problems. So a solution to this could be to give manual controls along with the automated ones. This invention could change lives if it's successful. Well, let's hope it is. 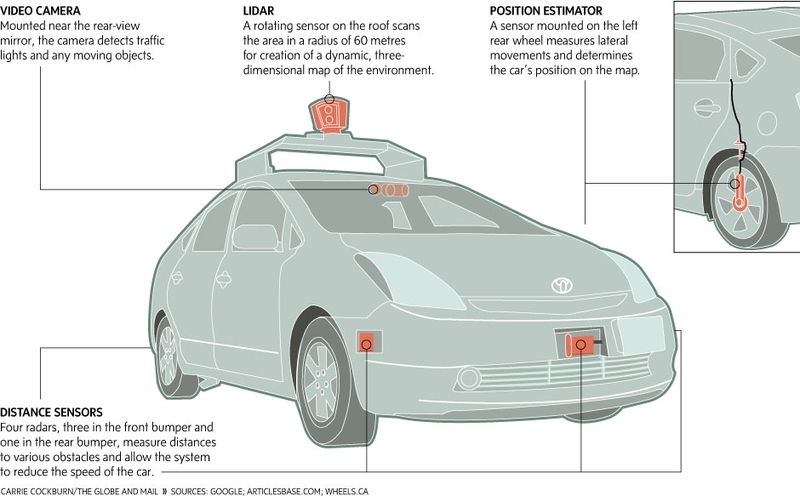 So this was my analysis on Google's automated car. I welcome your queries and suggestions. Today’s blog is on a very general topic, but on the other hand a very important one for all my readers. As we all know IT helps us in many ways like development of industries, development of life style etc. But as it is said, every coin has 2 sides. IT affects our environment adversely which is not seen by many of us. Information Technology (IT) has fundamentally altered our work and life and improved our productivity, economy and social well-being. IT now has a role to play – helping to create a greener, more sustainable environment whilst offering economics benefits. But IT has been contributing to environment problems which most people do not realize. Computer and other IT infrastructure consume significant amounts of electricity, which is increasing day by day, placing a heavy burden on our electric grids and contributing to greenhouse gas (GHG) emissions. Additionally, IT hardware poses environmental problems during both its production and its disposal. Whilst many people consider IT to be part of the problem to environmental pollution, it can be its savior too. In other words, IT is both a solution and a problem for environmental sustainability. We can exploit the power of IT in innovative ways to address mounting environmental issues and make our IT systems- and their use –greener. Green IT is the study and practice of designing, manufacturing and using computers, servers, monitors, printers, storage devices and networking and communications systems efficiently and effectively, with zero or minimum impacts on the environment. Green IT is an umbrella term referring to environmentally sound information technologies and systems, applications and practices. It encompasses three complementary IT-enabled approaches to improving environmental sustainability. 1. The efficient and effective design, manufacture, use and disposal of computer hardware, software and communication systems with no or minimal impact on the environment. 3. The harnessing of IT to help create awareness among stakeholders and promote the green agenda and green initiatives. Why do we need to buy new computers for each and every project or once every two or three years? We should make use of an older computer if it meets our requirements. Otherwise, we should give it to someone who needs it or use functional components from a retired product. By using the hardware for a longer period of time, we can reduce the total environmental footprint caused by computer manufacturing and disposal. We can refurbish and upgrade old computers and servers to meet new requirements. We can make an old computer and other IT hardware almost new again by reconditioning and replacing their parts. Rather than buying a new computer to our specifications, we can buy refurbished IT hardware in the market. More enterprises are open to purchasing refurbished goods, and the market for refurbished IT equipment is growing. From the green angle, reusing what we have is a better long-term way of managing resources. Physically speaking, we can potentially save our cash flow, and capital expenditures. If these options are unsuitable, we can donate the equipment to charities or schools or trade in our computers. Charities refurbish old computers and give them to those in need. When we can’t reuse computers, even after considering the prospects of refurbishing, we must dispose of them properly in environmentally friendly ways. Most unwanted computers and electronic goods end up in landfills. Electronic waste or e-waste—discarded computers and electronic goods—is one of the fastest-growing waste types, and the problem of e-waste is global. Analysts predict that two-thirds of the estimated 870 million PCs made worldwide in the next five years will end up in landfills. One might wonder how we should go about greening IT, and what subsystems of IT can be greened. In fact, every subsystem and peripheral of IT can be greened. The key among them are PCs, notebooks and servers, data centers and cloud computing, software (system and application software, along with the processes of software design and development), storage systems and networking and communication systems and protocols. Peripherals such as printers can be made energy efficient and environmentally friendly. We can significantly reduce energy consumption by making small changes to the ways we use computers. Most desktop computers run even when they aren’t being used, because users needlessly leave them on, wasting electricity. Furthermore, computers generate heat and require additional cooling, which add to the total power consumption and cost. Without sacrificing performance, we can program computers to automatically power down to an energy-saving state when we are not using them. This is the most basic energy conservation strategy for most systems. A blank screensaver conserves more power than a screensaver that displays moving images, which continually interacts with the CPU. But even that reduces the monitor’s energy consumption by only a small percentage. Users can choose to employ thin-client computers, which draw about a fifth of the power of a desktop PC. As the climate debate heats up, IT finds itself part of the problem – and part of the solution. Environmentalism and economic growth can go hand in hand in the battle against global warming. A vigorous green IT plan is an economic – as well as an environmental – imperative. Companies can out-compete their peers by tackling sustainability head on, engaging stakeholders, developing partnerships and adding environmental stewardship to their corporate culture. So that’s all for today, hope you enjoyed it.